Das Berg InGround Champion - the first trampoline for digging in. Das Berg InGround Champion offers a unique solution for all, who want to place their trampoline as invisible as possible in the garden. The Berg garden trampoline InGround Champion incl. 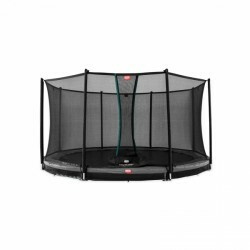 safety net Comfort is the first trampoline in Europe that can be lowered in the ground without excessive excavation. Of course, safety is important for the Berg garden trampoline InGround Champion incl. safety net Comfort as well. Thanks to the integrated frame net it is impossible that children or animals get under the net. 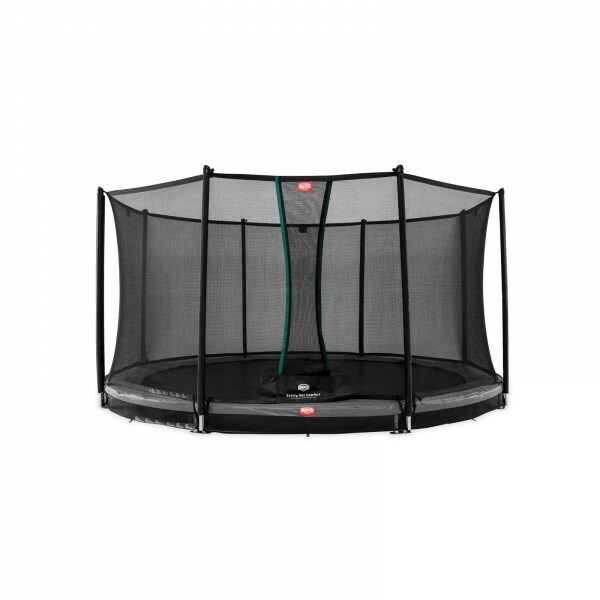 The high-quality TwinSpring Gold springs are attached to the jump mat with 8 times sewn triangular eyes - those make the Berg garden trampoline InGround Champion incl. safety net Comfort solid, safe, and durable. Furthermore, much less forces affect the body thanks to the TwinSpring Gold springs. The jumps get more - higher, safer, and more comfortable. Jumping on a trampoline makes fun and has several positive effects on the body. Coordination and sense of balance are trained, the circulation is stimulated. Thanks to the new Airflow technology, which is integrated in the jumping mat, you jump even higher and more comfortable. Airflow provides the ultimatet jumping power, because the Airflow jumping mat is of high quality and gives you up to 50 % more time in the air. The low resistance ensures extraordinarily great jumps. Berg garden trampoline InGround Champion incl. safety net Comfort add to comparison list.